Recovery nationwide is rising at a steady pace and is inching closer to the last-observed state of normalcy in the housing market, according to data from the National Association of Home Builders. 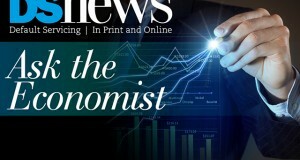 David Crowe, Chief Economist with the National Association of Home Builders, talks with DS News on housing inventory, housing demand, and retirement in this installment of Ask the Economist. The amount of underwater mortgages nationwide continues to decline. While outstanding HELOC balances have plummeted nationwide since 2009, data shows for the most part they are declining only at the 20 largest financial institutions. The Bureau of Labor Statistics’ stellar October employment summary, which reported 271,000 jobs added during the month, is believed by many to be sufficient economic improvement for the Fed to finally raise rates. That October employment summary many not be so rosy after digging a little deeper into the data, Crowe said. 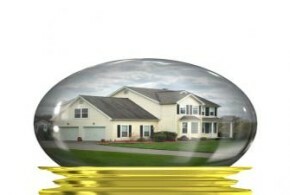 The mortgage industry has recognized the growing popularity of the single-family rental market. This week at the 2015 Five Star Conference and Expo in Dallas will include the inaugural Single-Family Rental Lab, and Five Star will host the inaugural Single-Family Rental Summit in Las Vegas from October 11 to 13. Although this increase may seem marginal, this one point rise up places the market closer to the one point goal, indicating that it has returned to normal. In addition, 66 percent of markets have shown improvement year-over-year. In the NAHB's Eye on Housing blog, Crowe cited a number of positive housing statistics that indicate that April was a prosperous month for the industry in spite of the U.S. economy contracting at an annualized rate of minus 7 percent in Q1. The lack of economic growth in Q1 did nothing to damper economists' predictions about housing recovery for 2015, however, largely because of strong April numbers.